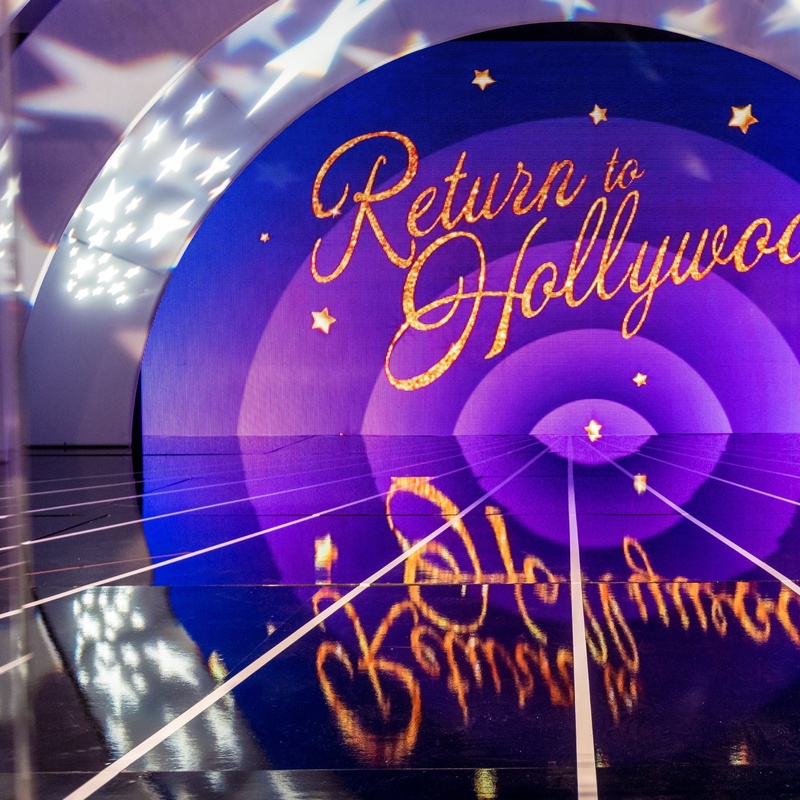 We designed our ready-made collections of stretch-fabric elements to help designers bring shape into their event or built environment. Sometimes that project entails defining space within a larger room or shaping the size of a room to fit form to function. 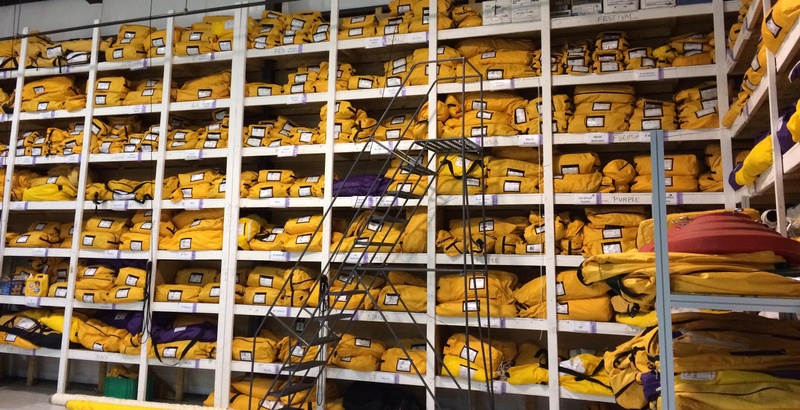 Our collections of Ready-made fabric designs feature elements from eight to thirty feet tall that are ideally suited to defining space, building moveable walls, or creating smaller “rooms” within a larger space. 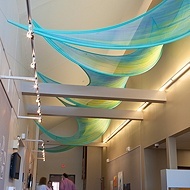 When paired with lighting, these artistic fabric elements that physically shape the room, can also shape the visual environment with color and form. They also add some acoustic absorption to a room, often a welcome addition when there’s a gathering of people in a large hall. One of our favorite venues locally for creating rooms within a room is a 26,000 square-foot, former locomotive repair facility that was renovated and reopened as an event hall in 2017, Brick South at Thompson’s Point. We first worked in Brick South when Sea Glass Events brought us in to create a room layout for WEX, one of their corporate clients. WEX wanted a fresh and creative environment for an off-site company meeting, and loved the industrial space of Brick South, but they also needed ten conference rooms, a 250-seat theater, a dining room, and a social space. When designing the Hutchinson Shores Resort and Spa in Jensen Beach, Florida, the architects and designers at TruexCullins Architecture + Interior Design drew inspiration from the resort’s seaside location. 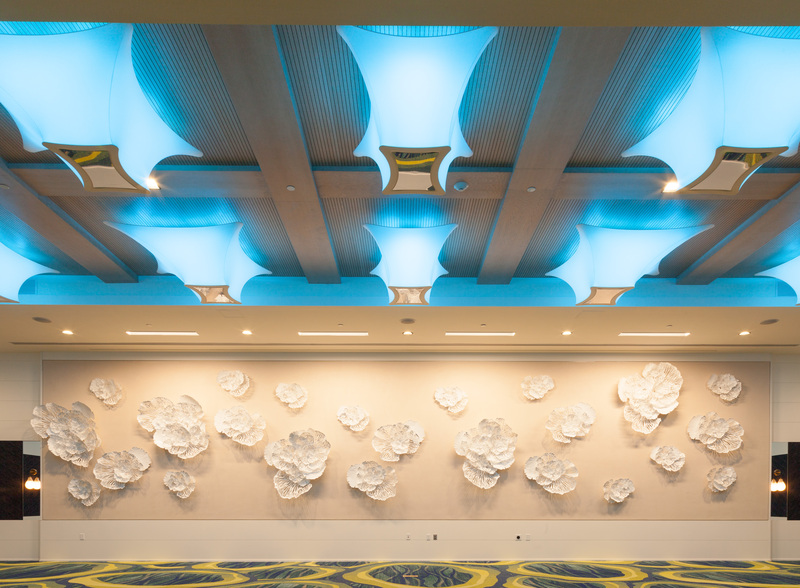 For the resort’s ballroom, rather than opting to fill the ceiling with traditional chandeliers, they designed a series of unique sculptural luminaries that evoked billowing sails filled with ocean light and breezes. 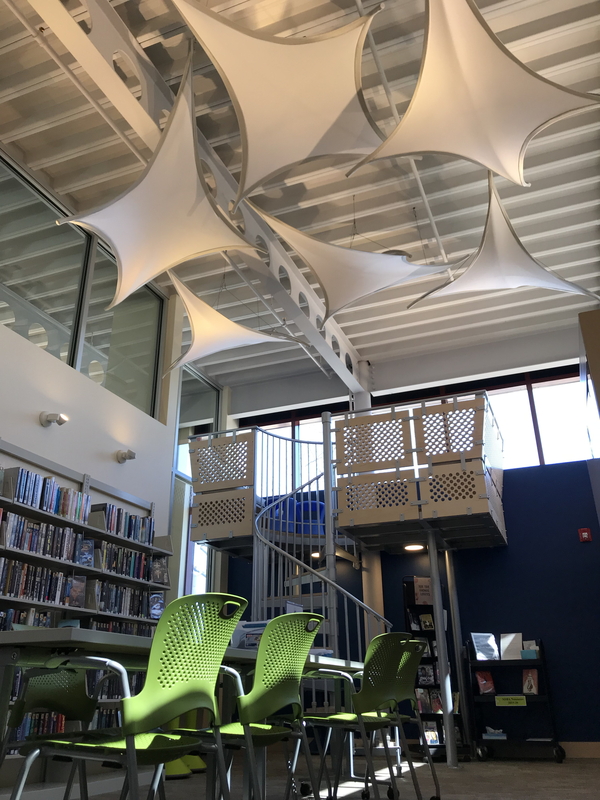 In the years since the Patten Free Library in Bath, Maine was last renovated, which was in 1998, the Library’s staff recognized that the addition of dedicated spaces for teens would provide a tremendous benefit to the community. To provide this space, the Library collaborated with Scattergood Design of Portland, architects of the 1998 expansion and renovation, to create a distinctive Teen Area within the existing building. Recently completed, the centerpiece of the Library’s new Teen Area is a two-story “pilot-house” study carrel with floor-to-ceiling interior windows, a range of seating, study and maker spaces, and a view from a birds-nest perch of the Kennebec River, home of the historic shipyard downriver at Bath Ironworks. Suspended overhead in the carrel is an array of 5’ x 8’ Transformit Sentry FireFlys. Using daylight simulation to design artful and effective interior shade. 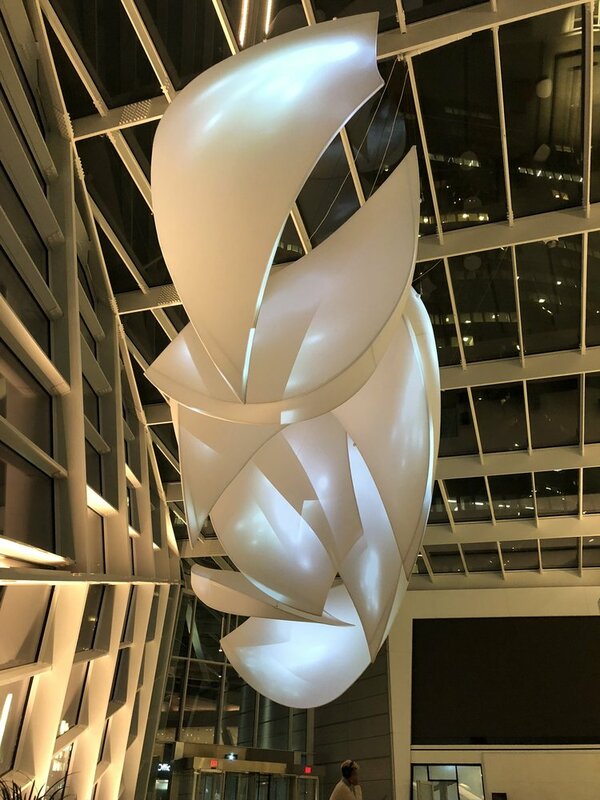 Transformit’s artful tension-fabric sculptures are ideally suited to diffusing direct sunlight and providing interior shade. 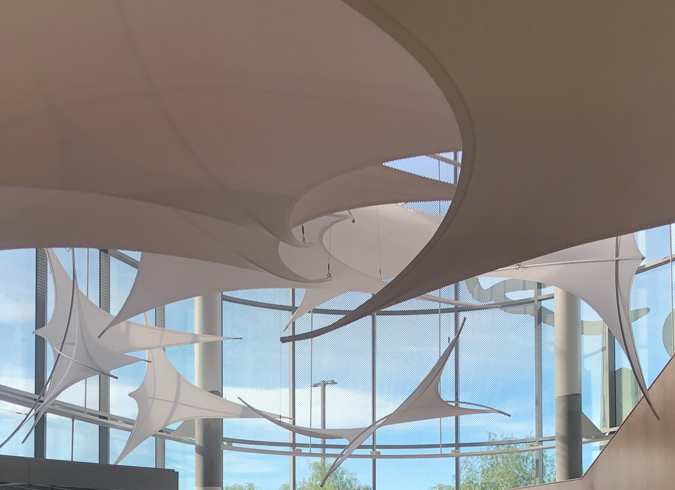 With this in mind, the architects at SmithGroup commissioned Transformit to create an installation in the atrium lobby of a new medical building for the Valley Children’s Medical Group (VCMG) in Modesto, California. Artistically, the client wanted something that evoked a flock of birds in flight. 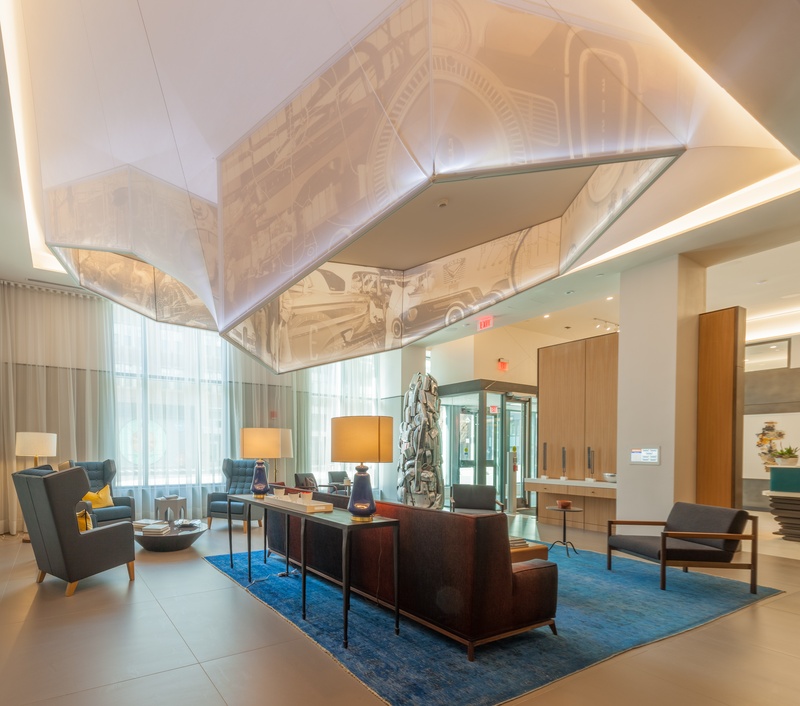 Practically, the sculptural installation needed to provide interior shade for the lobby, particularly over the reception area. Studio HHH created their own visual story and original sculpture with eight ready-made Transformit Pixies, as part of ILLUMINUS, Boston's contemporary arts festival featuring original works by artists who work in the medium of light and sound. 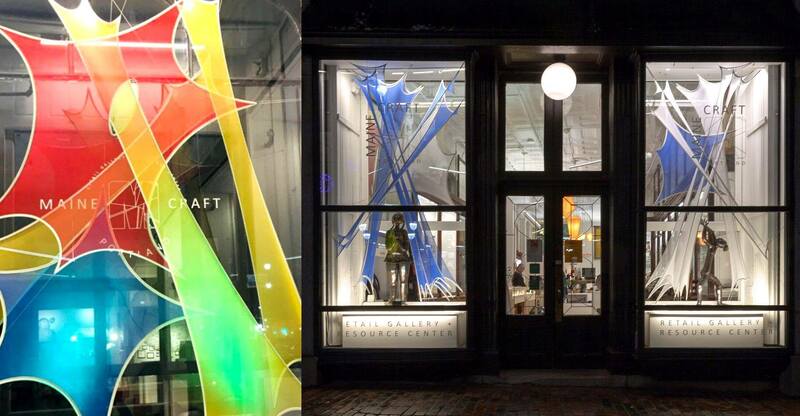 In support of the nonprofit Maine Craft Association, Cindy created (pro bono) a three-window installation entitled First Light: Solstice for Maine Craft Portland, the organization's gallery in Portland.